It’s been a big year for Amber, 9, of California. In February, she celebrated the one-year anniversary of her gene therapy injection at the NIH Clinical Center and helped welcome First Lady Melania Trump to The Children’s Inn. 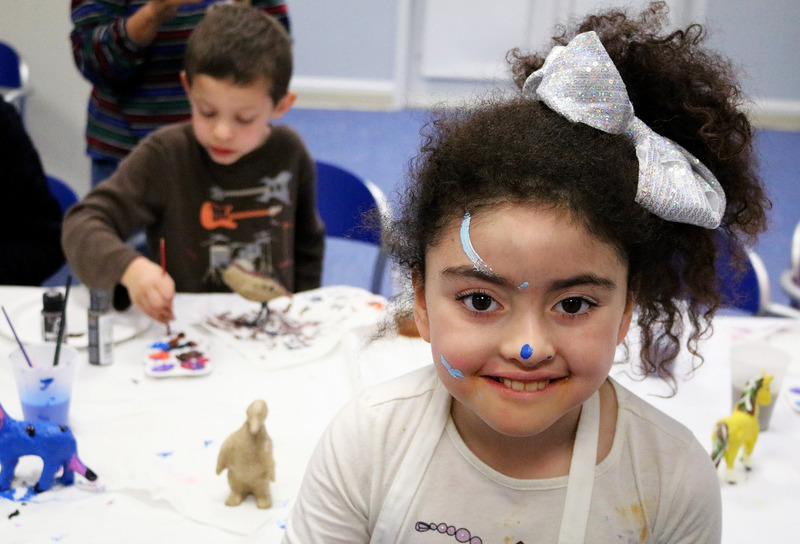 On Feb. 28, she played a major role in highlighting the importance of gene therapy advancements in helping rare disease patients like herself as part of the 2019 NIH Rare Disease Day. Born with giant axonal neuropathy (GAN), a highly rare disease that progressively limits her nerve and muscle functioning, Amber’s family was elated to learn their daughter was eligible to participate in a gene therapy trial at the National Institute of Neurological Disorders and Stroke (NINDS). While few gene therapy treatments and trials exist so far, the potential for gene therapy to treat and even cure rare genetic diseases like Amber’s is highly promising. Families like Amber’s need support from donors like you and The Children’s Inn to participate in often lengthy clinical research studies far from home. Frequent travel to Maryland can put a strain on families and careers. 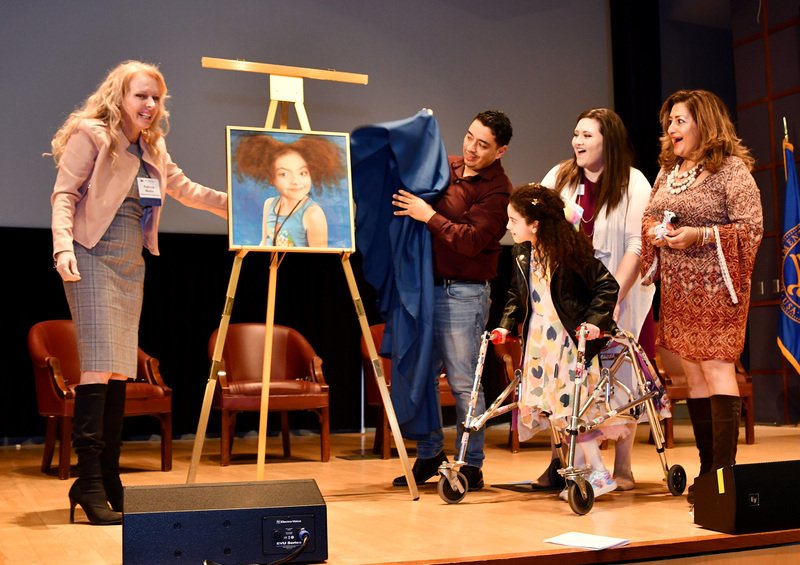 Also as part of Rare Disease Day, Amber was chosen to have her portrait painted by Artist Jota Leal for “Beyond the Diagnosis,” an exhibit of portraits of children with rare diseases created by a group of volunteer artists for Rare Disease United Foundation, which seeks to increase research for and raise awareness of rare diseases. Amber’s portrait will travel to various rare disease exhibits around the country in the years to come.